The land inside the Wynyard Woods loop, known as the country park, has a lot of pipes on it and has been dug up for about half of its length. This is to allow surface water drains to be laid (the pipes in the picture) for the new Dere Street development next to the temporary school. This is the next phase of housing development behind Manorfields. 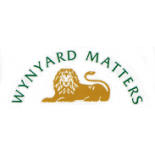 Wynyard Estate Services have assured Wynyard Residents Association that the country park surface will be reinstated as soon as drain laying is completed. This entry was posted on August 13, 2017 by wrasecretary in Activities, Announcements, Updates.